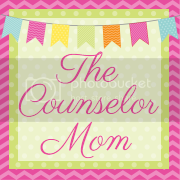 The Counselor Mom: Best Feelings Toy, Kimochis! I am so excited that the latest stuffed animal toy is Play Therapy friendly! It's called a Kimochi and they actually come in different animal types: an Octopus, ladybug, cat or the one pictured below, The Cloud. The toy company also offers several other different feelings such as frustrated, cranky, brave, silly, left out and curious. And the different animals can signify things as well as: the Octopus is overbearing, the Cat is bossy, the bug is fearful (anxious), and the Cloud is moody. That way, you can purchase an animal that fits more with what behaviors your child displays. So, you are probably wondering "what the heck do I do with this toy?" Well, it is one super easy, fun and cute way for children to start learning their feelings. This toy could be started with a 6 month old and older and can really help the non-verbal child. Just like you can teach your baby sign language, you can ask them what they are feeling and they can quickly show you the appropriate little feeling figure. And it also teaches older children basic feelings with the matching faces. The cloud that we purchased has a pouch where it stores the feelings inside of him, much like a lot of children do, and you can tell your child to release the feeling and not keep it stuffed inside of their tummies. And since it also changes faces, it is considered a good way to show how moods can easily change and how to control them. So next time you see your child looking sad, mad, etc you can say, "Sally, you look really sad right now." That way they start recognizing their feelings with words and facial expressions. In teaching your child appropriate expression of feelings, for instance, you can start praising your child for expressing positive and negative feelings. You can encourage your child by saying, "Sam, it was sure helpful when you told me you were mad by using your words and face instead of hitting your brother, you must be very proud of yourself!" Have any of you purchased this toy and had any experiences with your children? Would love to hear how you've used it with your little ones! What an awesome toy to give as a gift for my niece. I bet my sister would love this as well. Thanks for the idea. I love the article and the blog. Thanks so much for your support! I hope to post more information on play toys soon for people!